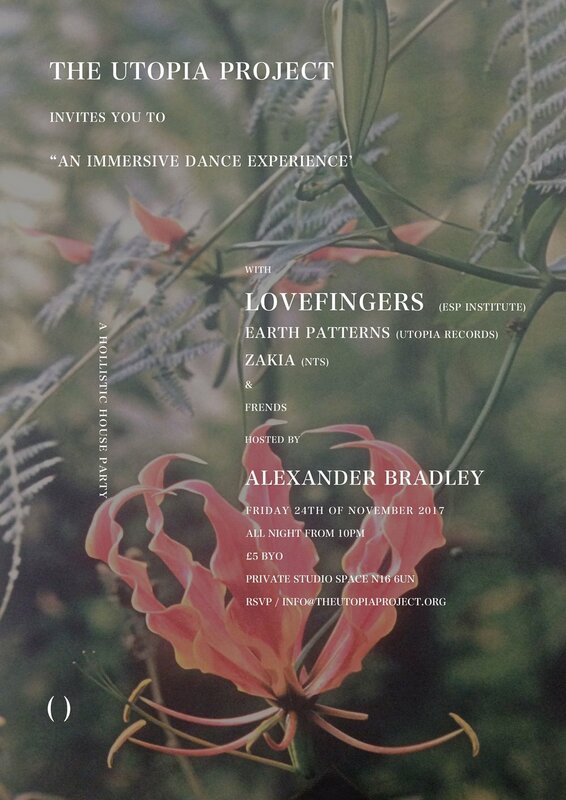 Musical maestro DJ Lovefingers over from LA for the weekend, Zakia and Ben Davidson fresh off his Earth Patterns release on Utopia Records will be joining myself (and another hush hush guest) at our studio space on Friday for a last minute spiritual shakedown. The space is a multi purpose venue that can transition from living room to studio to showroom to gallery space to club with its own permanent audiophile sound. Feel free to invite as many friends as you like to join us on our journey.